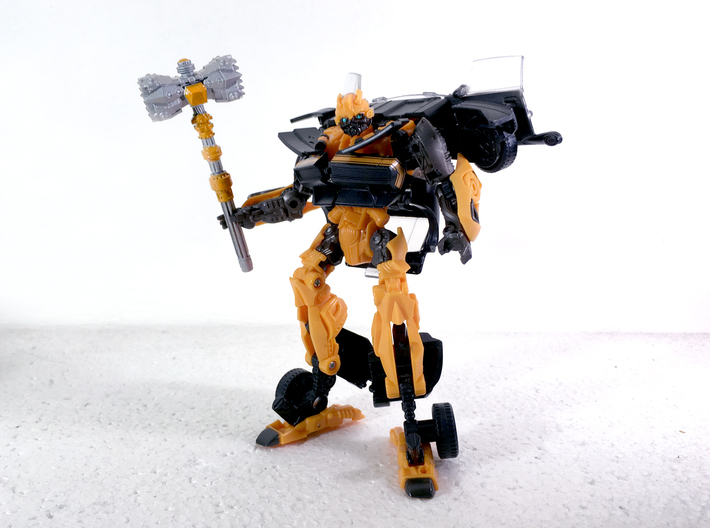 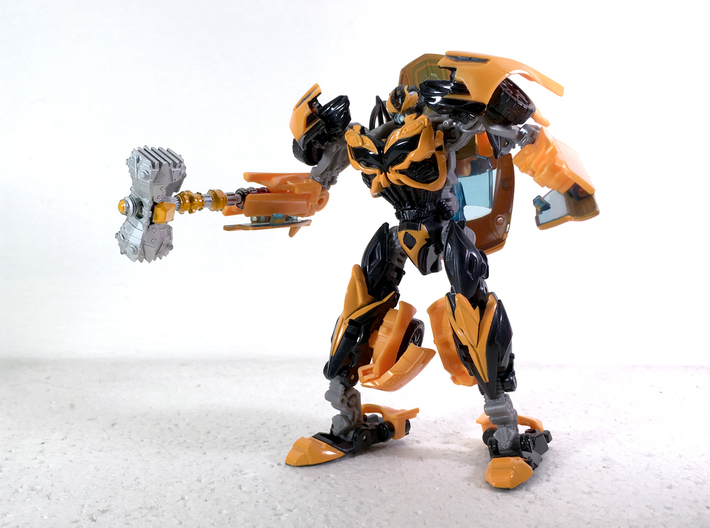 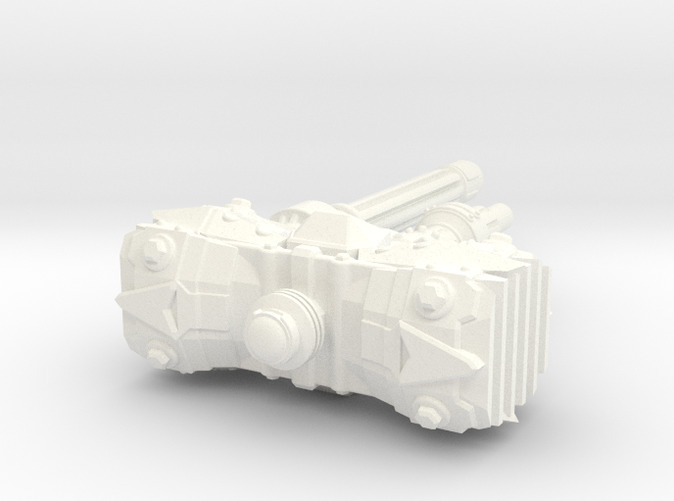 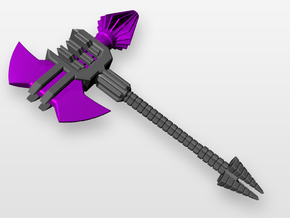 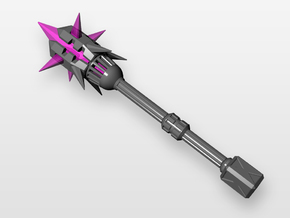 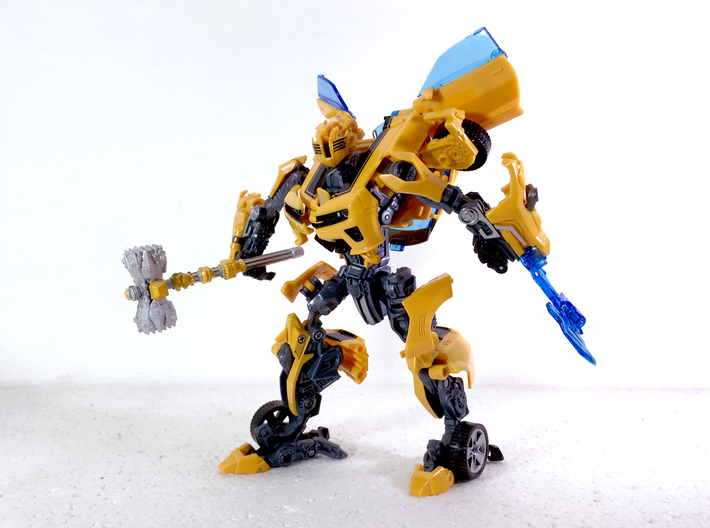 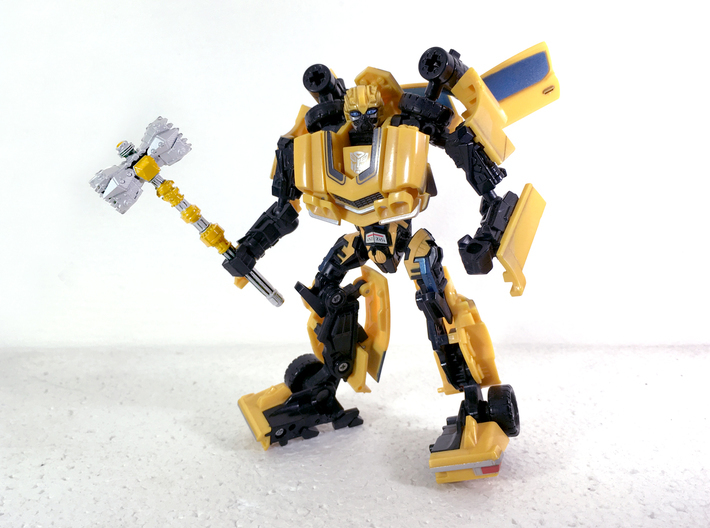 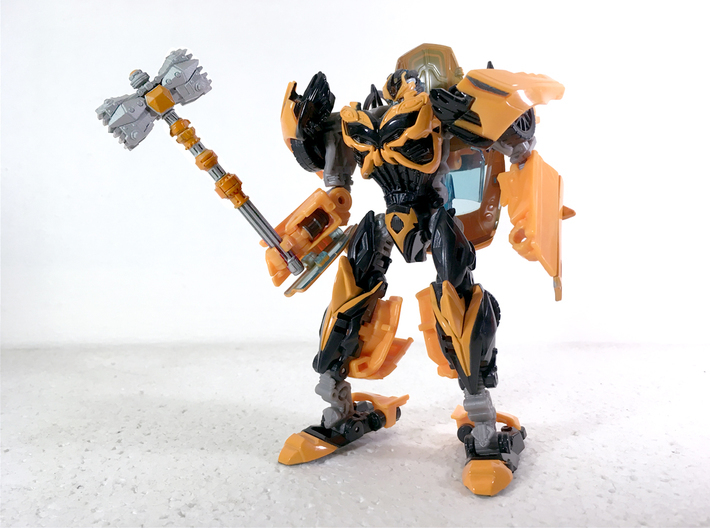 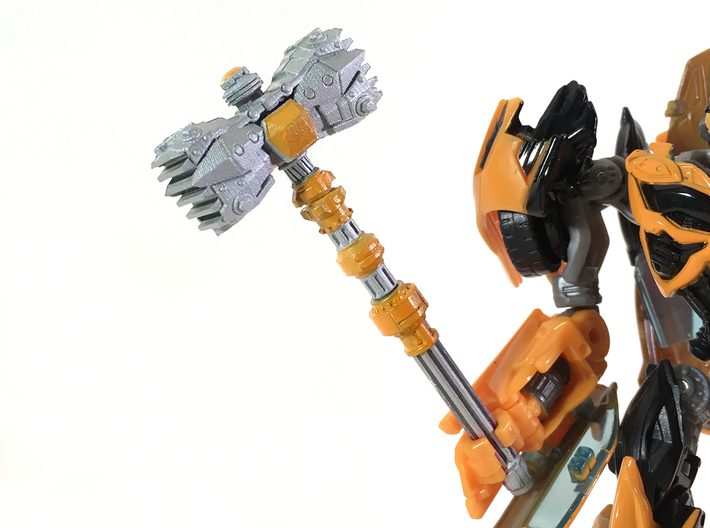 This is a hammer for use with deluxe transforming figures, specifically Bumblebee, based on the design shown on The Last Knight. 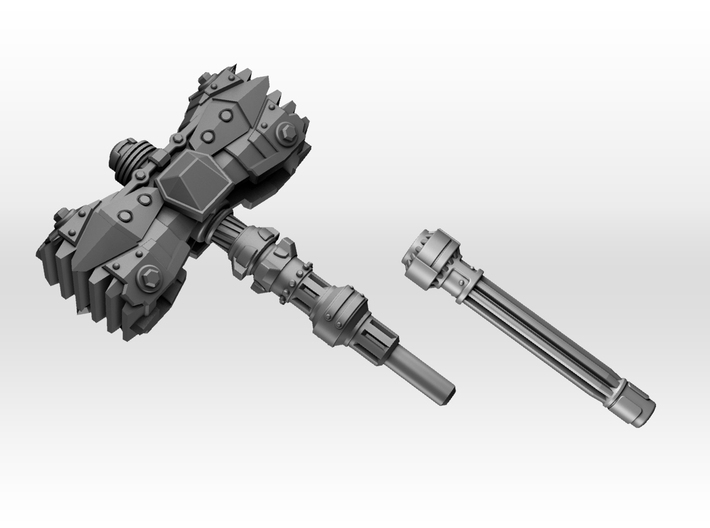 Accessory measures 81mm long, 33mm width and 15mm thick. 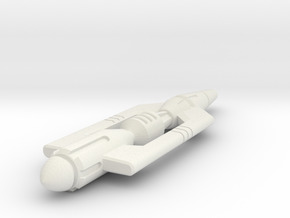 It features 5mm peg compatibility. This model has been successfully tested in Frosted Ultra Detail. 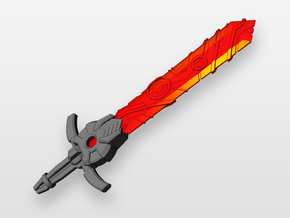 Strong Flexible plastic or Frosted Ultra Detail material is recommended.